Miss USA 2013 Erin Brady (L) and Donald Trump in Las Vegas, Nevada. The 2014 Miss USA competition is trading Sin City for Louisiana's Capital City. 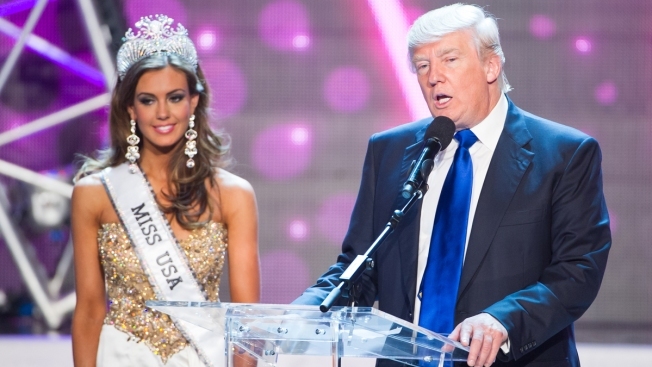 Donald Trump, the owner of the Miss Universe Organization, appeared on "Today" Thursday to announce the beauty pageant will air live on NBC from the Baton Rouge River Center on June 8. "We had about 12 places that were fighting for the rights, and we just decided that's sort of the home of pageantry, it's sort of the home of the whole beauty thing," Trump said. "They're terrific people, and they're going to put on a great show." While Baton Rouge has never hosted the Miss USA competition, the contest was previously held in Shreveport, La., in 1997 and 1998. "It is an honor to host the Miss USA pageant in Louisiana," Lt. Gov. Jay Dardenne said in a statement. "It is an incredible opportunity for Baton Rouge to shine on a national stage and I expect the delegates will enjoy our unique culture and joie de vivre." The competition features competitors from all 50 states and Washington, D.C., who will be judged in three categories: swimsuit, evening gown and interview. The show will conclude with one contestant crowned Miss USA 2014.